Is today the first day of your NOVA Online course? A few 10 week classes start today! Review the Critical Enrollment Dates blog post to make sure you get off to a great start. Check out a recording of the NOVA Online Orientation webinar to help you get started! All courses beginning today are 10-week courses. 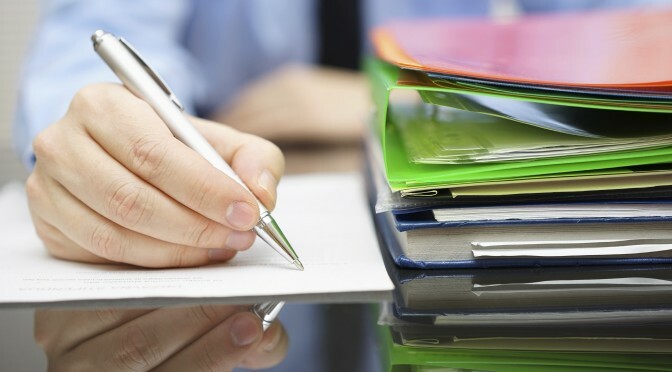 These courses will run at an accelerated pace to cover the full 16-week semester’s material. Make sure you are comfortable with the pace of the course from day 1. 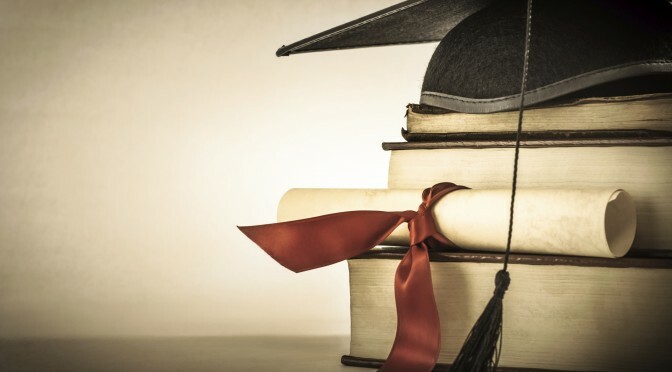 An NOVA Online Student Blogger has shared her experiences preparing for an accelerated course! Have a NOVA Online exam coming up? Not sure how to test? Check out NOVA Online’s testing site or your taking exams tab in your Blackboard course site for details. It is very important to monitor your VCCS student email for updates and announcements from NOVA Online, NOVA and your instructor. Look for emails from NOVA OnlineSuccess@nvcc.edu throughout your course. Join our Virtual Student Union. Are you taking online classes and looking to connect with other students outside of a classroom setting? Check out our Virtual Student Union or VSU. 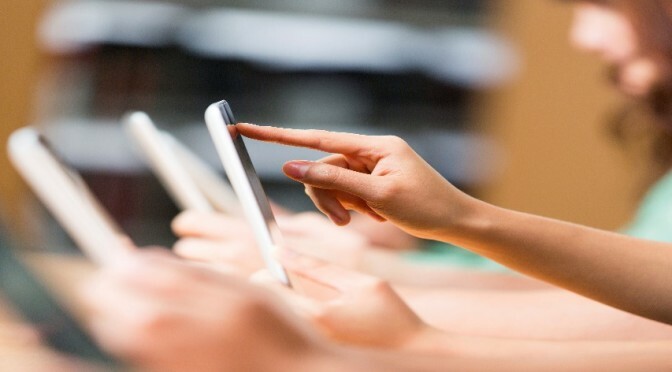 This is an engagement hub where NOVA Online students have access to create a profile, join discussion forums and connect with other students. In celebration of our new site launch, students will be eligible for raffle prizes once they create an account and interact on the site. Drawings will be done weekly and monthly through the fall semester. Join now! Become a NOVA Online Student Blogger. Love to write? Become a NOVA Online Student Blogger! This group will be geared toward students who enjoy to write or blog and are possibly interested in pursuing a career in media and/or journalism. Members of this group will directly contribute to the NOVA Online student blog. For more information, fill out the NOVA Online Student Bloggers Interest Form. Engage in your Community! We want to learn more about how NOVA NOVA Online Students are engaging in the community! Email us at elistulife@nvcc.edu and tell us where and when you are volunteering and we will send you a FREE NOVA Student Life T-shirt to wear! Coming Soon! (Community volunteer booklet to learn more about the variety of non-profits participating and volunteer opportunities available). You should be reviewing your grades on a regular basis in the My Grades area of Blackboard. Each Blackboard course site has Blackboard Tutorials available to help you navigate. 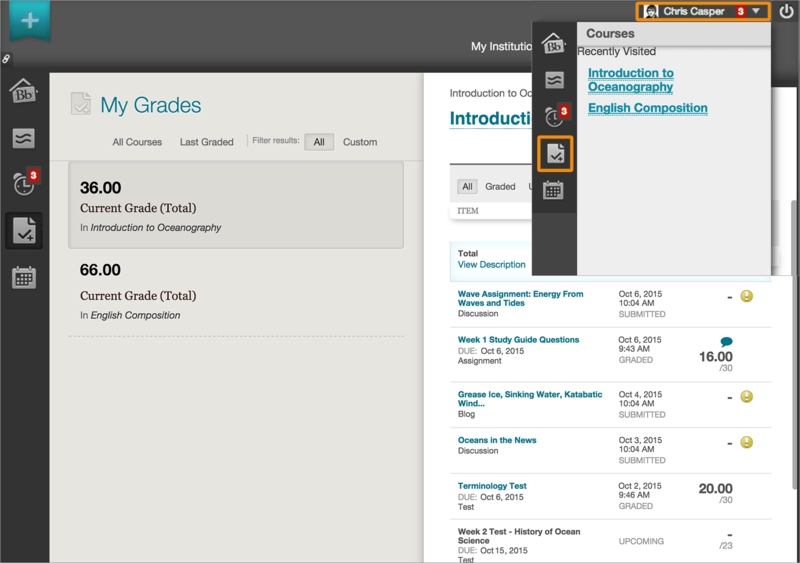 This tutorial will help you monitor your grades in your Blackboard course site. To view grades for all of your courses, select the arrow next to your name in the upper-right corner. In the menu, select “My Grades”. You can sort your grades by All Courses or Last Graded. If your work hasn’t been graded, grade status icons appear. Select an item’s title to view details. To view the grades for the course you’re in, select the “My Grades” link on the course menu or on the Tools page. Your instructor controls which links appear on the course menu, so if you don’t see if there, click on “Tools” and locate My Grades. Make sure you are monitoring your grades and your instructors feedback. This is very important to your success in the course. Once your course ends, check your final grades in your Student Information System (SIS). Your grades will be posted in the “other academics” drop down in your student center. Tutorial provided by Blackboard Help. 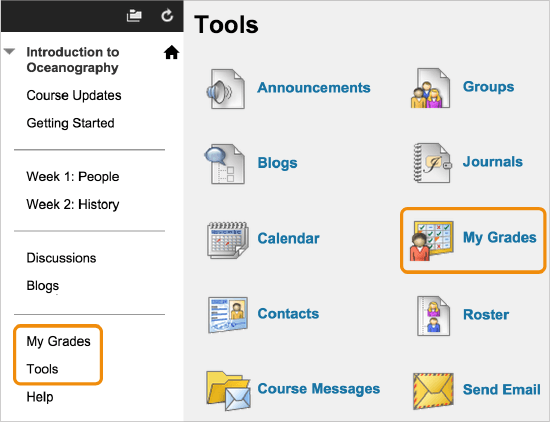 Use these tutorials to help you navigate your Blackboard course site. Contact NOVA Online’s IT Helpdesk (24/7) with any questions – 703.764.5051. NOVA Online’s Student Success coaches are available to help you navigate Blackboard. Reach out to them at elisuccess@nvcc.edu or 703.323.3347. It’s National Distance Learning Week and throughout the week we are celebrating current students and making sure future students know the ins and outs of being an online student. Throughout the week on social media, you will see trivia, myths, pictures, and of course prizes! Not sure if online courses are right for you? Take the SmarterMeasure assessment to gauge your readiness! Listen to the Furthering your Education with NOVA Online webinar designed for prospective students and will focus on the benefits of studying online at NOVA’s Extended Learning Institute, programs offered, options for accelerating your program and student support services. In addition to National Distance learning Week – it is also National Career Development Month. Join NOVA Online Career Counselor on Wednesday, November 11, 12:15 pm – 1:00 pm for the Exploring Career Options webinar – This 45 minute webinar will focus on using various online resources to research career options. The relationship between programs of study at NOVA, college majors, and career options will be discussed. Resources presented will provide information on nature of work, educational requirements, job outlook, and wages. Can’t attend a live session? Click here to request a recording. Tuesday, November 10 – 12:15 – 1:00 pm – Getting Ready for your Second Semester – Join us for this 45 minute webinar for NOVA students will focus on answering key questions students have about preparing for their second semester. Topics covered will include program identification, course selection, college resources, schedule planning, and registration/payment tips. Register Today! Join a representative from Old Dominion University to learn how to transfer to ODU Online business programs, Tuesday, Nov. 10 at noon. Join the session on Tuesday! Have you started thinking about your schedule for next semester? Are you interested in taking a class that doesn’t require you to purchase any textbooks or course materials? A Digital Open NOVA Online class might be right for you! Save time and money with a Digital Open course at NOVA Online! For more information about registering for one of NOVA Online’s Digital Open courses, contact the NOVA Online Counselors at elicounselors@nvcc.edu or 703.323.2425.